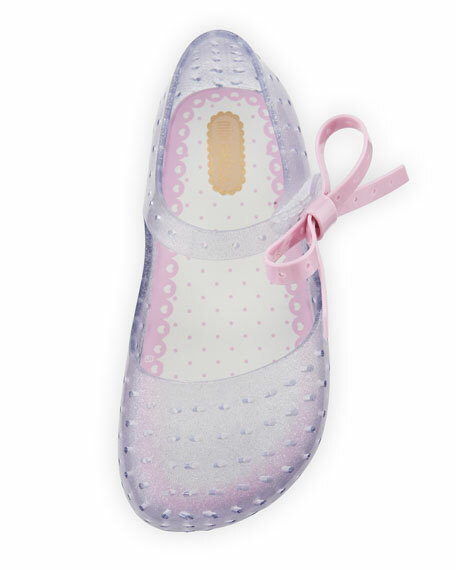 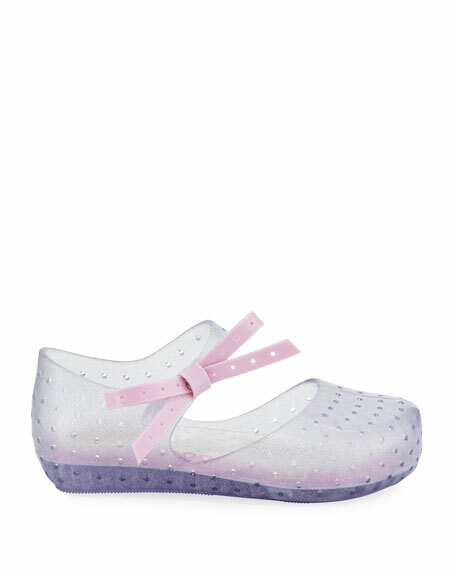 Mini Melissa perforated, two-tone Mary Jane flat. 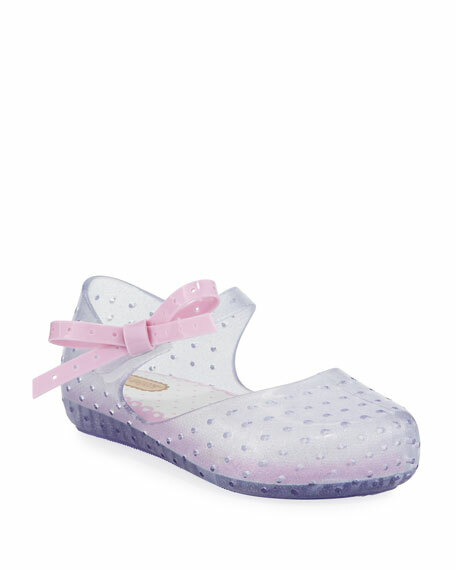 Grip strap with bow detail. 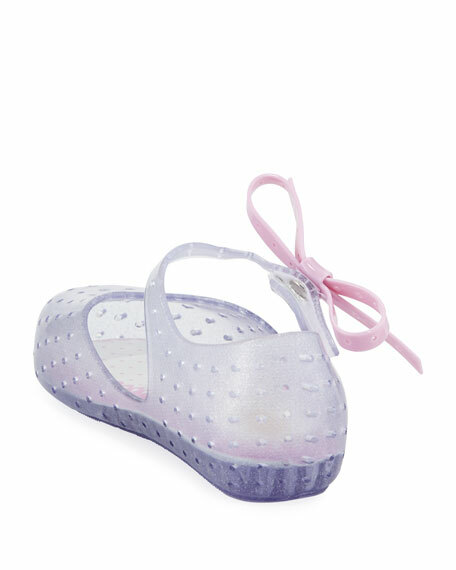 For in-store inquiries, use sku #2193848.